Visit Trail Breaker Kennel—one of Fairbank’s longest operating kennels. 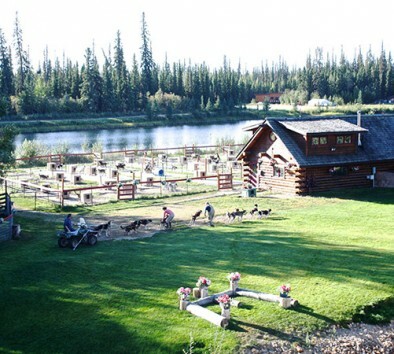 Located along the Chena River in Fairbanks, Trail Breaker Kennel was established in 1980 by the husband and wife team of David Monson (Yukon Quest champion) and Susan Butcher (four-time Iditarod champion). Though Susan passed away while in the prime of her life, her legacy with the dogs continues with her family and staff who thrive on sharing the passion for sled dogs with guests from around the world. Come find out why a visit to Trail Breaker Kennel is like a “backstage pass” into a champion sled dog kennel where you meet the people and the dogs who share the lifestyle of mushing. Hear stories of how mushers prepare for the grueling 1,000-mile Iditarod and Yukon Quest races. Enjoy an entertaining and educational presentation about sled dogs and the sport of mushing, puppy cuddling and visiting with adult dogs. Minimum age is 5. Bring a jacket and a camera.